In 2014, Easton will be reviving their popular Synergy name with a new line of sticks. 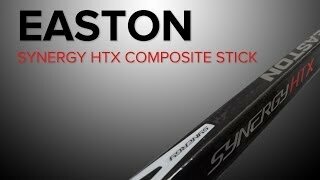 The upcoming Easton Synergy HTX stick is right around the corner and it features plenty of Easton's new technologies with the feel of the old school Synergy! The newest innovation from Easton is their HyperTune&trade; Technology. 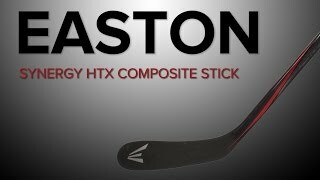 This feature means that Easton has matched the blade's stiffness to the shaft's stiffness. This allows a player to fully utilize the velocity and pop of the stick. The Synergy HTX features the HyperToe&trade; Blade Construction that adds additional toe stiffness. This makes the blade ideal for loading shots off of the toe. Following in the footsteps of previous Synergy lines this Synergy features a mid-kick or "mid-taper" flex profile, making it perfect for the player who likes to load up their shots. Construction Material: Uni-Directional Fibers Type of material the product is made of. Shaft Design: Tapered Shape of the shaft edge. Blade Construction: Hypertoe™ Type of material the blade is made of.